Hey Ron, can I use "Bora Care" with the Platinum Pro Foam? I think Termador is illegal in CA. I live in a mobile home, and have dectected a lot of swarmers in my master bedroom recently. There are 5 small holes on one the right side (cealing) of my room and 2 on the otherside upper wall. Can I use bora care, w/ the platnum pro foam, and then do a death steak treatment, or trench treatment outside? I'm looking for the most cost effective method to resolve this issue. Thanks in advance! Termidor SC is legal in California. Termidor Foam (in a can) is not for some weird reason. Probably a registration issue with the State. Yes, you can foam Bora Care with Platinum Pro Foam too. 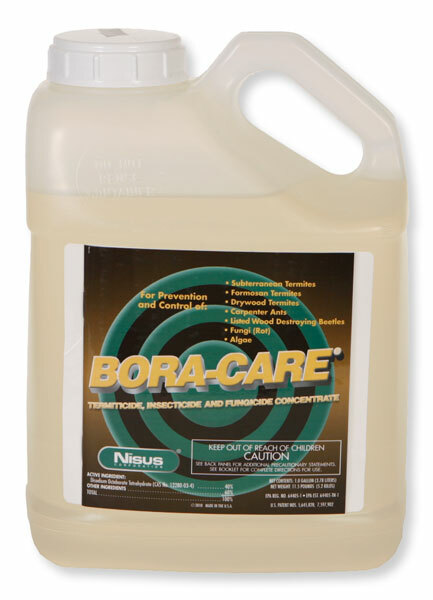 It requires about 3+ oz of foam per gallon of Bora Care / water mix. I think the most cost effective and overall effective solution is to use a Termidor SC / Platinum Pro Foam mix.